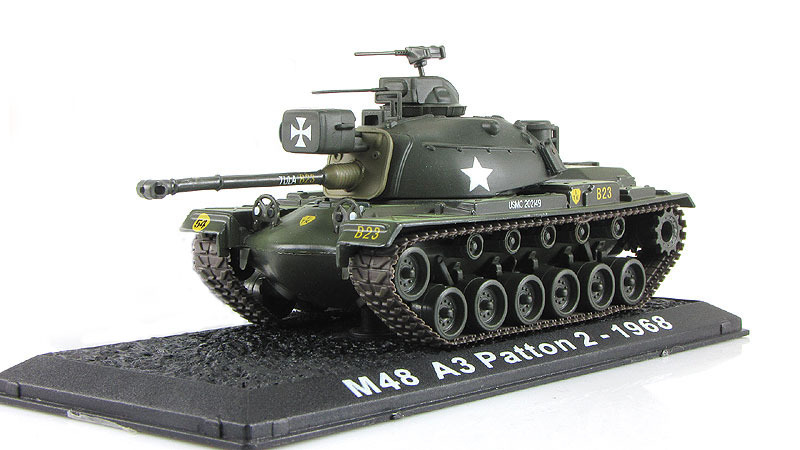 The M48 Patton is a medium tank that was designed in the United States. 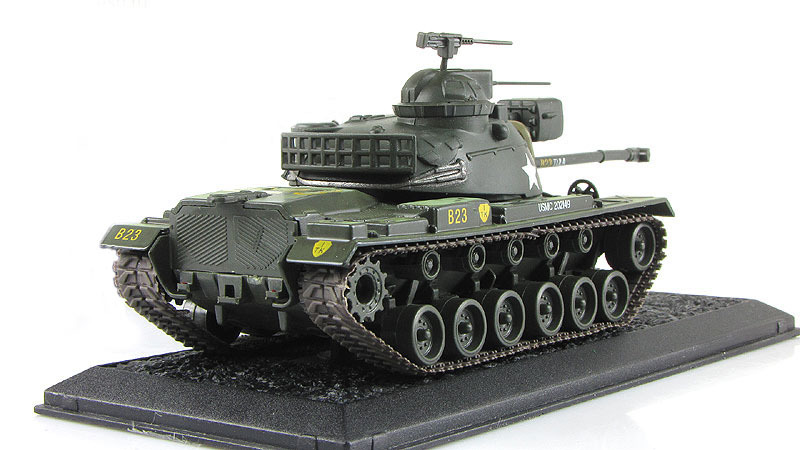 It was the third and final tank to be officially named after General George S. Patton, commander of the U.S. Third Army during World War II and one of the earliest American advocates for the use of tanks in battle. It was a further development of the M47 Patton tank. The M48 Patton served as an interim tank in U.S. service until replaced by the U.S. Army's first main battle tank (MBT), the M60. The M48 served as the U.S. Army and Marine Corps's primary battle tank during the Vietnam War. It was widely used by U.S. Cold War allies, especially other NATO countries. The Turkish Army is the largest operator of the modernized M48 MBT, with more than 1,400 M48s in its inventory (around 1,000 have been phased out/in storage or modified to ARVs). In February 1963, the US Army accepted its first of 600 M48 Patton tanks that had been converted to M48A3's, and by 1964, the US Marine Corps had received 419 Patton tanks. These Pattons were to be deployed to battle in Vietnam. Because all M48A3 tanks were conversions from earlier models, many characteristics varied among individual examples of this type. M48A3 tanks could have either 3 or 5 support rollers on each side and might have either the early or later type headlight assemblies.